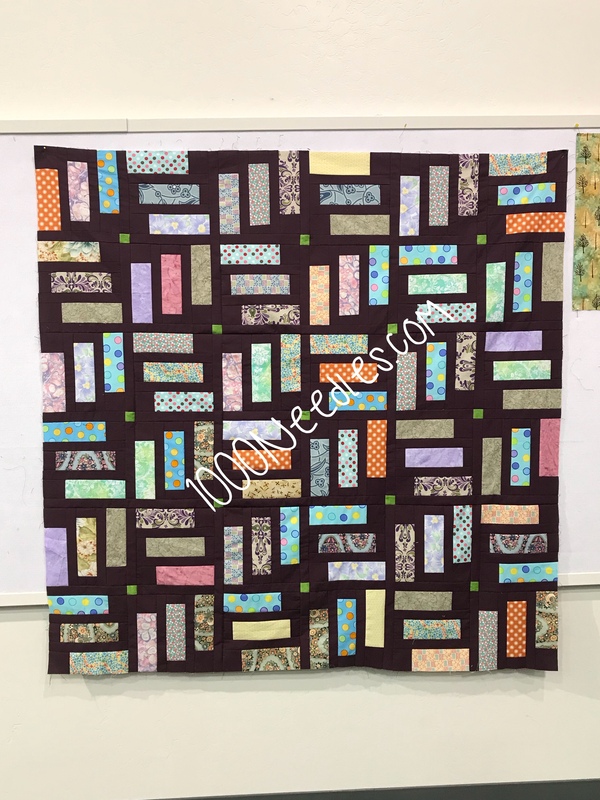 I had lost my quilting mojo for the summer of 2017.. If I was honest, it was gone most of 2017. I was doing a lot of knitting at this time. But I was now part of the membership committee for one of our local quilt guilds and we were having trouble filling our monthly workshops. Previously I tried to attend as many of them as I could but my UFOs and WIP projects were mounting and I didn’t want to add to it so I stopped attending them unless it was by an instructor I absolutely wanted to take a class with or a technique I wanted to get more familiar with. But because we were having trouble filling the workshops I signed up for Lyn Brown‘s class. And I had a ton of fun. The class ended up filling up and there were a bunch of us enjoying each other’s company and sharing in each other’s accomplishments. 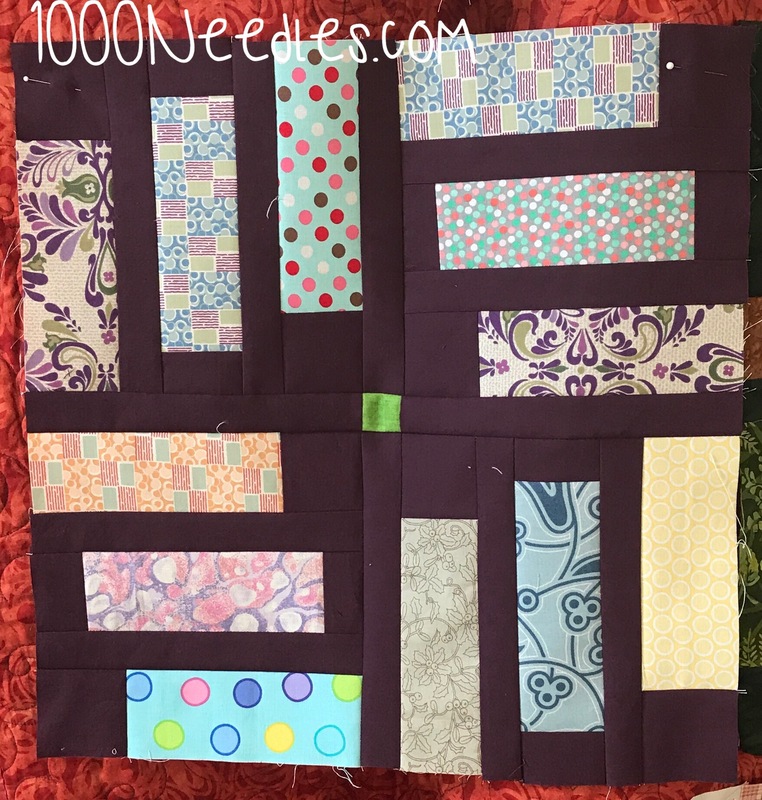 It inspired me to get back on my quilting kick. Normally after a class like this I put my project aside for other ongoing wips and things but this time, I decided to continue working on this for now. (as of 11/25/17). I am working on this at the same time as I work on Bonnie’s Hunter’s 2017 mystery QAL On Ringo Lake.